Della Saba voices a younger Judy. Kath Soucie voices a younger Nick Wilde. John DiMaggio as Jerry Jumbeaux Jr.
What do you get when you create a world where animals habitats in a populated contemporary society? That would be Disney new animated movie, Zootopia. 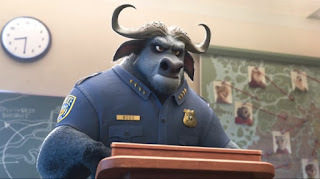 In modern setting with anthropomorphic animals, we get to see how animals would interact with each other, in a human-like nature -- but still display their animal instincts. 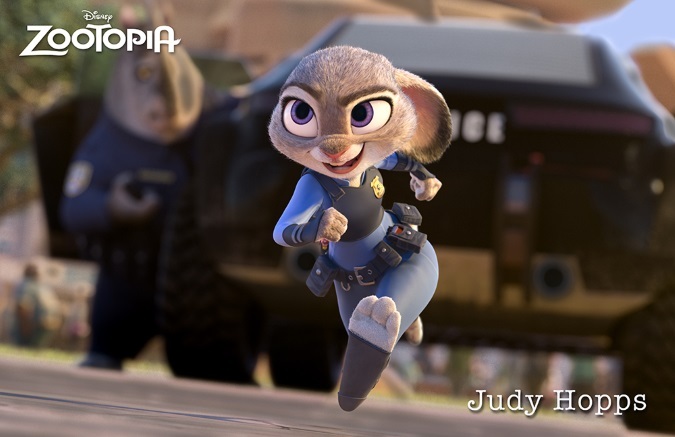 Starring Ginnifer Goodwin as Judy Hopps, and Jason Bateman as Nick Wilde, we get two polar opposite characters who have to team-up to solve a case together in a fun comedy-adventure. As Judy who optimistically wanted to make a big difference in a populated animal society, she learns that it can be very difficult to be taken serious as a small animal. 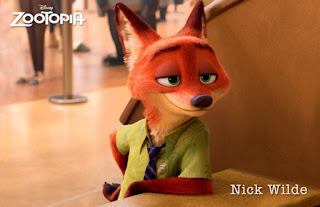 Until an opportunity came her way, as she was given a case to solve; however, it requires the assistance of the con-artist, Nick Wilde in order to solve the case. Together we get a story served as a great buddy-cop comedy movie; with the duo encountering various hijinks in a animal society. But because it's an animal setting, you would also get some creative animal-puns, along with a humorous interactions with various animals' behavior. One thing that Disney demonstrates from this film is its high-quality computer-animated scenes. Even though Disney is known for raising the bar on the quality control of its animation production, this film showcase how well thought out the artists and animators have put their time and effort in to it. As we can see still see great details to each of the animals, but still suspend our disbelief to believe that they're anthropomorphic animals -- and interact with human-like nature. 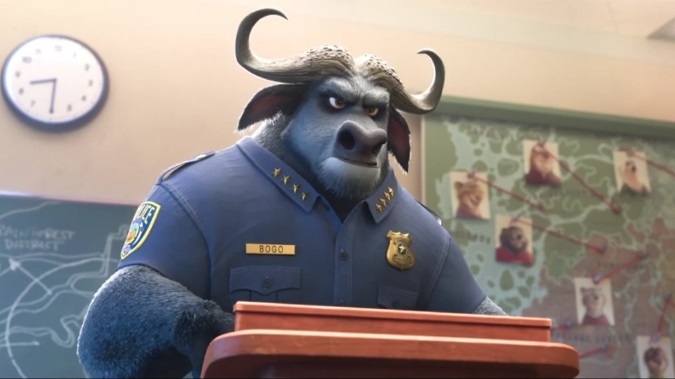 Also because great details are put in the films, from various scenery to each hair details on the animals, be on the look out for a few of the Disney's Easter eggs. 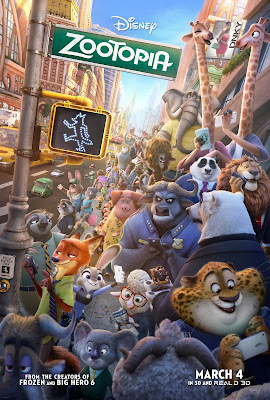 While this movie may be about anthropomorphic animals, it's actually not Disney's first film to do that; as the Walt Disney company is no stranger when it comes to anthropomorphic cartoon. It's most notable is its iconic Mickey Mouse as one; and of course its classic animated movie Robin Hood -- which also, ironically stars a fox. The only thing that really made it set it aside from its predecessor's animated anthropomorphic film is the modern setting, along with it being a computer animated film -- otherwise it's a ubiquitous animated film. Overall, it's a good family film for the kids; otherwise, it's an average film for any movie-goers. But if you're a Disney fan you may appreciate it for its quality and story; otherwise, it's another film that can be appreciate by very few.